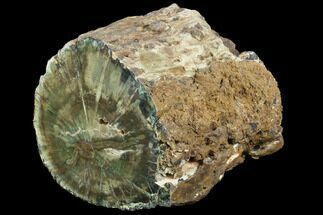 This is large a petrified log of Woodworthia, a primitive conifer. 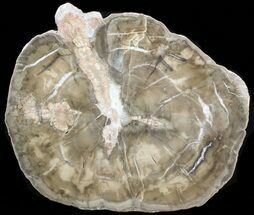 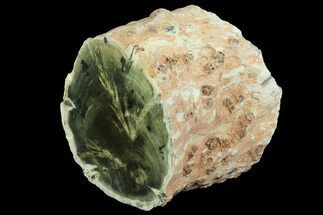 It is Triassic in age or approximately 250 million years old and was collected from the Molteno Formation in Zimbabwe. 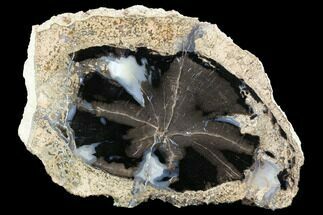 If you didn't know better it looks like it's ready to through on the fire. 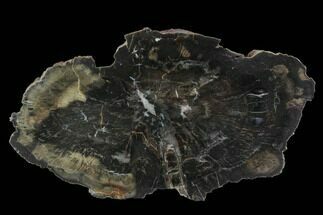 This section is 7.2" long and 3.8" wide at it's widest point. 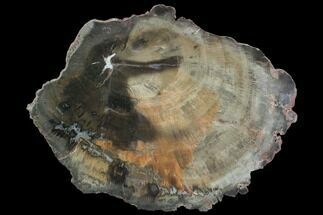 It has been highly polished on one end to reveal the beautiful wood detail. 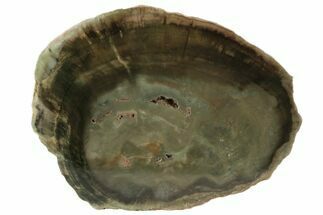 The polishing was done by one of the best petrified wood polishers out there so the quality is second to none with none of the tool marks. 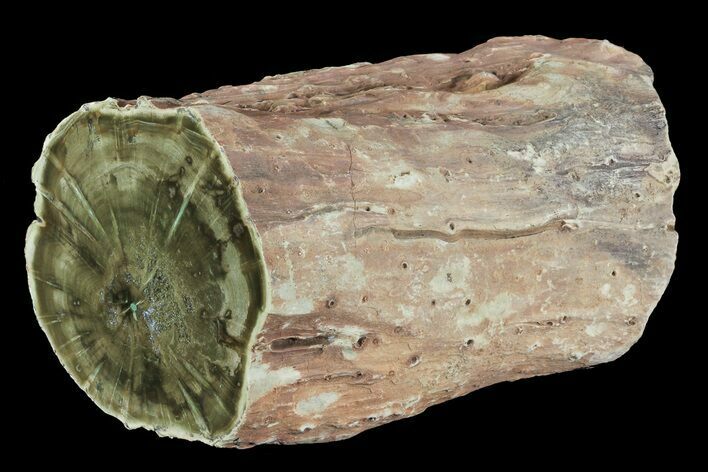 The finally detailed wood rings are preserved in shades of olive, green and brown agate, pierced by rays emanating from the spine scars which cover the surface of the log. 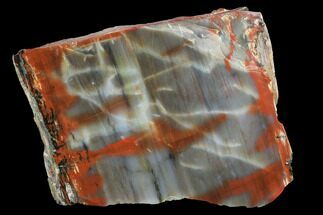 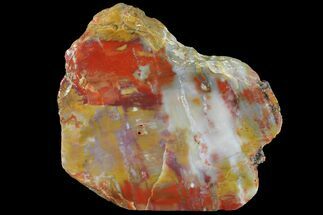 The distinctive, gem grade petrified wood from this formation is simply beautiful, and you don't see sections this nice very often.